Parents can share joint legal custody, joint physical custody or both. When parents share joint legal custody, they maintain equal rights to make decisions about the child’s education, health and welfare. When parents share joint physical custody, they have equal rights to care for and supervise the child. Parents can negotiate the terms of both joint legal custody and joint physical custody in a custody agreement before they seek court approval. During a divorce, the court approves both joint legal custody and joint physical custody arrangements and includes them in the divorce decree. Married parents share equal parental rights over a child during the marriage and throughout separation unless a judge issues a court order to the contrary. Parents who are not married to each other do not automatically share joint child custody over the child, even if they live together. The court requires unmarried parents to establish paternity of the child, before it rules on joint guardianship or joint child custody. State laws vary. For example, in New York, a child born to unmarried parents has no presumed legal father. The biological father has no legal responsibility to the child or right to custody unless the parents establish him as the legal father. 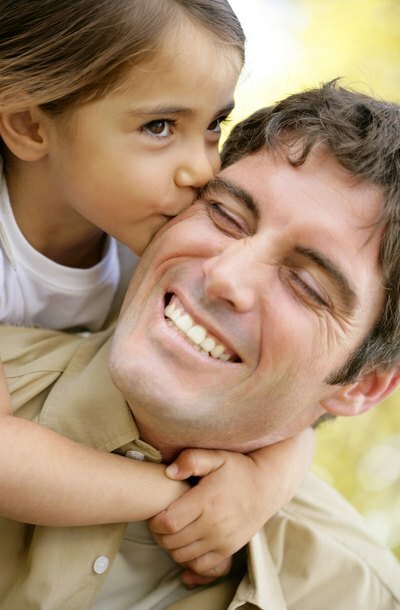 Parents establish paternity by signing a voluntary acknowledgement of parentage or by taking a paternity test. If the unmarried parents live in separate states, the Uniform Child Custody Jurisdiction and Enforcement Act determines which state's law governs the custody of the child. Under joint legal custody, parents make major decisions together regarding the child’s education, religious instruction, medical treatment, and general heath and welfare. Each parent has an equal right to make a significant contribution in the decision-making process and final decisions. No individual parent has the right to make important decisions regarding the child without the other parent’s contribution or input. Parents can agree to which types of decisions require both parents' participation and which can be made by a particular parent. If a parent intentionally makes a critical decision without the other parent’s consent or against the other parent’s will, it may violate the joint legal custody agreement established between the parents and approved by the court. Under joint physical custody, parents share the duty of care and physical supervision of the child. Physical custody includes the child’s living arrangements, housing, clothing, meals, childcare, extracurricular activities, transportation and daily schedules. Each parent has a right to spend time with the child, supervise the child’s daily activities and be informed of the child’s routine schedule. No individual parent has the right to take the child out of town or out of the country without informing the other parent if it violates the joint child custody order. Under some circumstances, where one parent plans to move out of the state against the other parents will, it threatens the joint custody arrangements because it makes physical custody impossible. Wilma Presley, Attorney at Law: How Does Joint Custody Work? If you have ties to another country, you may wish to take your child with you to visit. If you are divorced, the custody arrangement to which you and your former spouse adhere determines what steps you must take before leaving the country with your child. The United States Department of Justice notes that because foreign laws often differ considerably from U.S. law, international parental abductions are harder to resolve. Placing restrictions on international travel with children – even for the custodial parent – helps prevent these abductions from occurring.